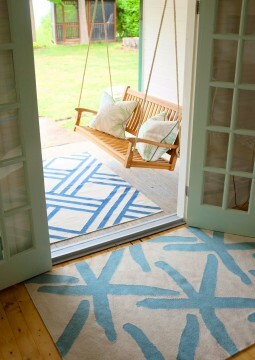 For those of you who are fortunate enough to have a summer retreat (where’s my invite? 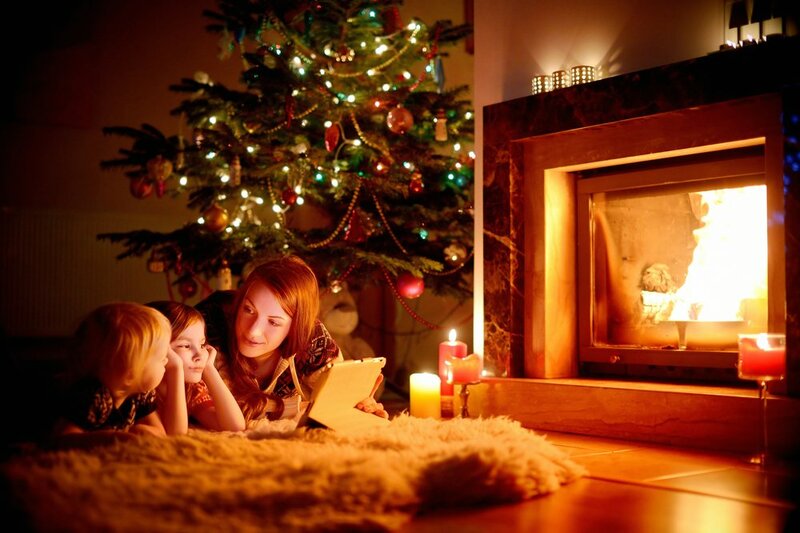 ), it may be time to consider what needs a refresh to take you through the season of lots of relaxing and entertaining. Cottaging is definitely a favourite Canadian past-time and one that friends and family want to maximize. 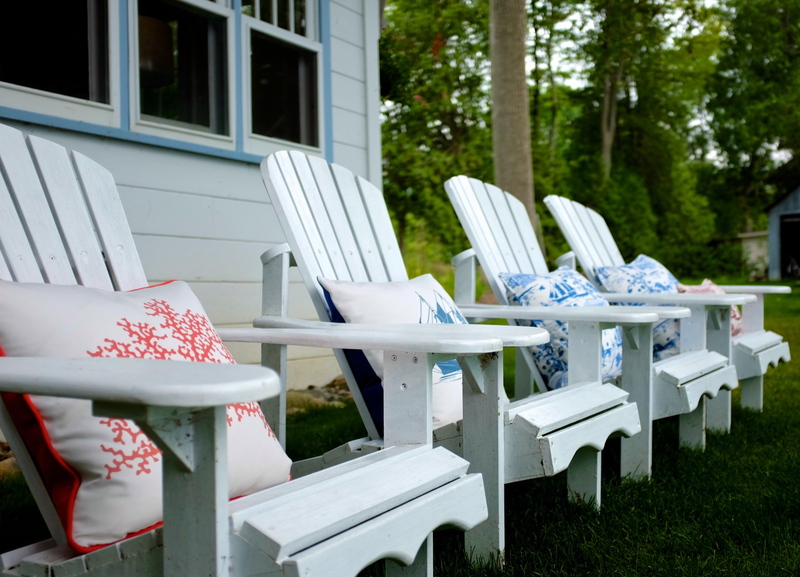 Here are just a few great ideas that I’ve come across that you might want to consider for the cottage or even in your own backyard! Time to refresh your tableware? 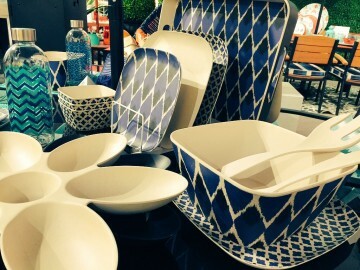 Colourful acrylic, melamine or bamboo sets from PC Home bring a modern update this season and all ready collection ready at affordable price points. We’re eyeing the bright reds and ocean blues and ditching the mish mash of old plates and mugs. Why worry about cans and bottles of pop taking up space when you can have a handy sodastream at the cottage? Our family loves this in the city as it takes up minimal counter space and the selection of flavours is amazing. It’s also great to create your own blends like adding refreshing cucumber slices or a few pieces of fresh fruit to your sparkling water. Want to make your living space more inviting? The fabulous line by designer Kate Thornley-Hall is just what you need. Her Cayman Island Collection whispers welcome to a beautiful life! 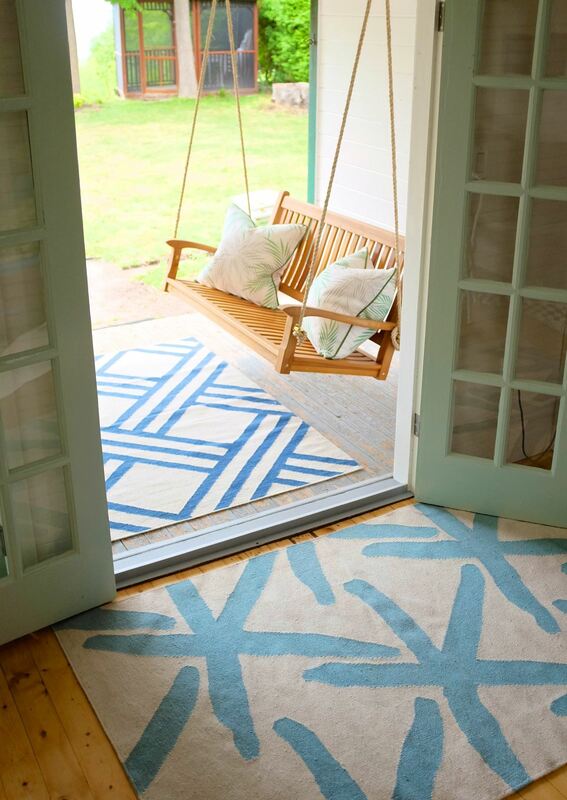 The wool flat weaves are great for the cottage. The Trellis and Seastar patterns are my favourites! The kids need to keep hydrated too and one fun way is to have one of these Hamilton Beach Ice Shavers to make snow cones and slushies (okay, and maybe a few dacquiries for the adults). Add your own fruit juice for a healthier option that’s better than sugary syrups. Why does coffee always taste better when we’re away? It may be time to upgrade your coffee machine up at the cottage with a new KEURIG K200 brewing system. Just launched, this colourful and compact K200 system. It’s a perfect blend of style and substance AND convenience. 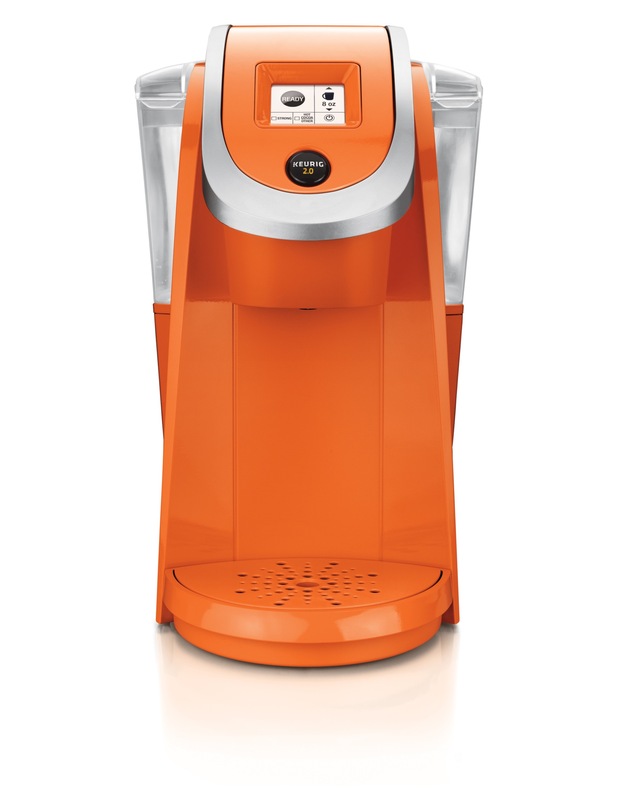 The K200 brews a single cup or a full carafe at just a touch of a button thanks to size selection technology. Available in turquoise, violet, orange zest and sandy pearl colours (black, white and strawberry will be available in June. I like the clean and convenient K-Cup an K-Carafe pods that are perfectly measured out and for keeping fresh and away from little critters. 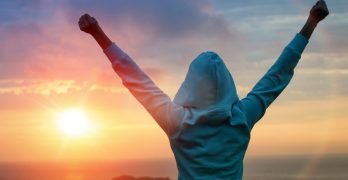 Mosquitos can ruin a weekend and some of us are tired of smelling like eau de Citronella or being trapped indoors . We’ve come across the Koolatron’s Outdoor Bite Shield mosquito trap to keep the pesky buggers away from us. Bite Shield uses patented technology and works off a standard 20 lb propane tank (lasts about 4 to 6 weeks when used 24/7) and it gives you a full acre of coverage. How it works? It converts the propane gas into carbon dioxide to mimic human breathing, known to attract mosquitos, and thermal imaging blue light technology mimics movement and heat so the bugs are drawn to the trap. Additional features also trap the nasty horseflies too. 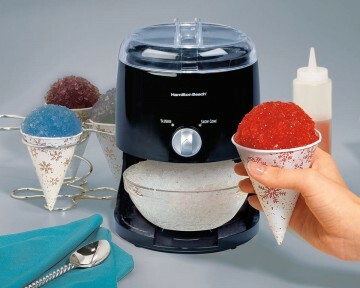 Keep your food and drinks chill with the latest technology with this “Rolls Royce” of coolers! The Koolatron Cooler uses the same thermoelectric technology as NASA to keep your drinks cool! 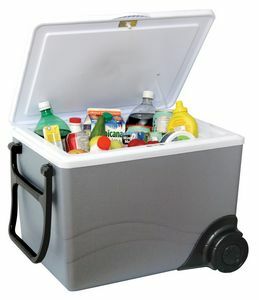 Koolatron is a Canadian owned and operated company and all of its 12 volt Travel Coolers are proudly made in Canada. The company was the first in North America to make and distribute thermoelectric coolers that can plug into your car and cools without any ice. 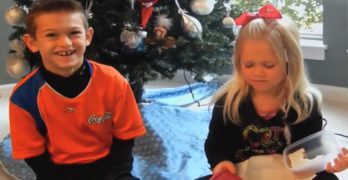 And the bonus? With the same technology you can flip a switch and remove all your cold stuff and turn it into a warmer to keep food nicely heated up to 60C. Great for your takeout meals and potlucks! Spending time around the water is sheer bliss and while I’m sitting by the lake, there’s nothing I like better than catching up on the latest reads. But around the waters runs the risk of getting pages or eReaders wet, right? 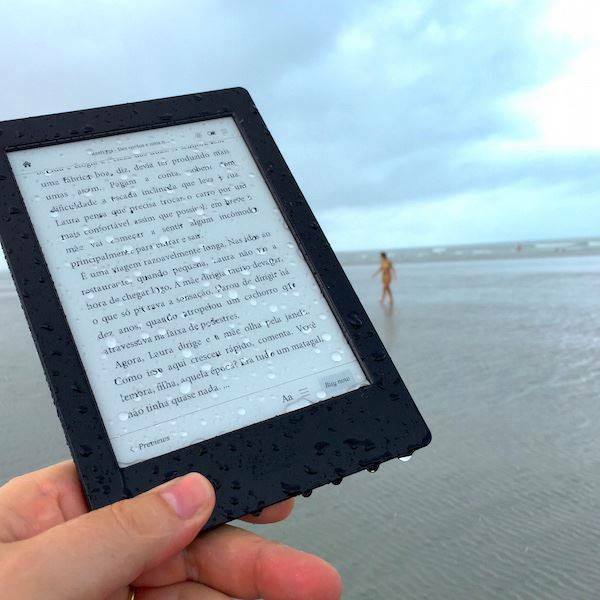 Unless, of course you have the Kobo Aura H2O that is water resistant and sandproof. Plus, it comes with a fully adjustable ComfortLight to help minimize eye strain in any light. Are we there yet? We know sometimes the trek to cottage country can take forever. So, if you need a little away from digital screen time grab the 52 Fun Things to Do in the Car Activity Cards (ages 5 and up) This best-selling activity deck includes a variety of new activities from mind-bending puzzles to creative art. 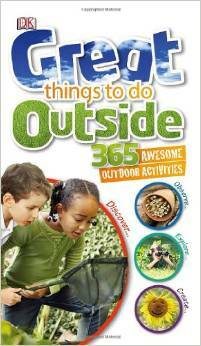 Kids love to explore and discover the outdoors and the Great Things To Do Outside Book is has 365 awesome activities to do! From bird watching to weather forecasting and making wrapping paper, this is a great way to incorporate nature, learning and discovery.